It was a faultless drive by Ian Menzies and Robert McGowan to win the SR Automotive Manumbar Rally crowning them 2018 P3 Solutions Queensland Rally Champions. Finally having a car that was running at full pace after being plagued with fuel injection problems in previous rounds, Menzies and McGowan won seven of the nine stages in their Bespoke Engineering Mitsubishi Lancer Evolution 9. The team used their 20+ years’ experience of competing in the area to their full advantage. In thanking the organisers, the Brisbane Sporting Car Club, Menzies expressed appreciation towards the large effort they took to find some new and very challenging roads for this years’ event. 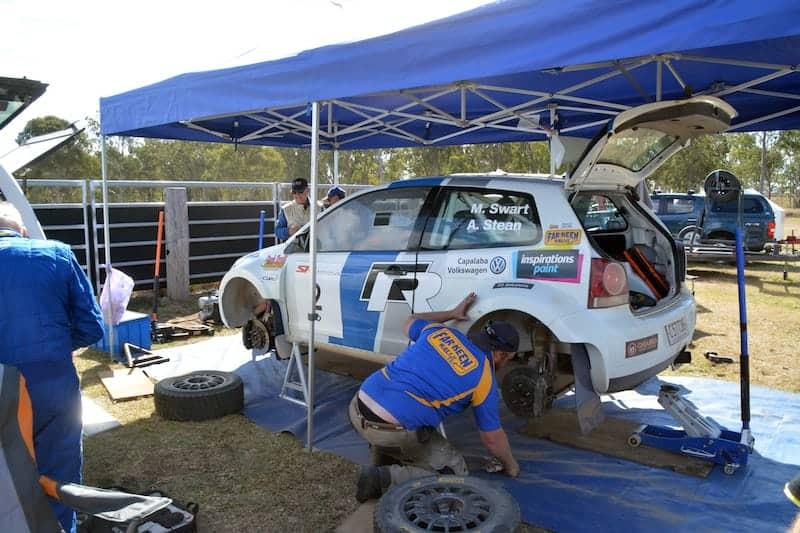 The SR Automotive Rally was the fourth and final round of the P3 Solutions Queensland Rally Championship. 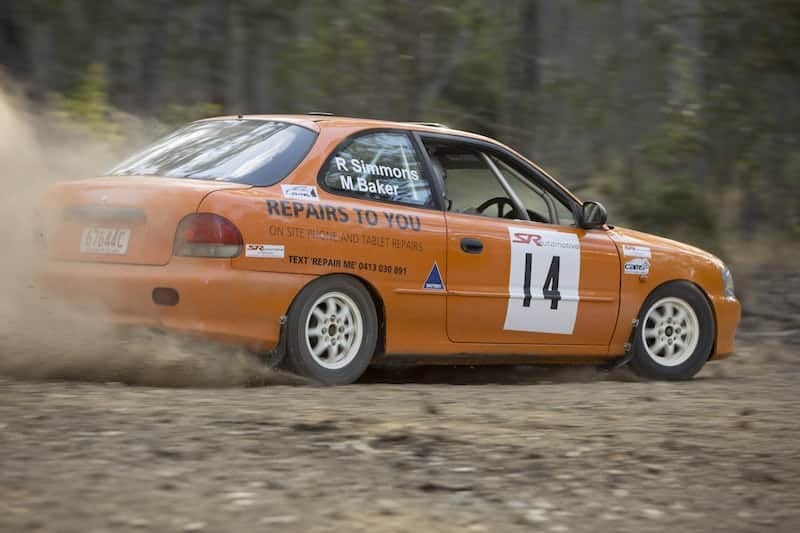 The event started in the township of Nanango utilising new roads and forestry areas, then moving to Manumbar for the traditionally fast and long stages loved by event regulars. Totaling 150 km of competitive stages, many competitors enjoyed the longer than usual blind rally format. Taking second outright was the experienced team of Ryan Smart and Hugh Reardon-Smith driving their classic Datsun Stanza. Struggling with brake issues near the end of the event, Smart and Reardon-Smith set two fastest stage times for the day. Team Datsun Australia collected the fastest 2WD trophy as well as much applause at spectator points. Third place was the very happy Marius Swart and Alan Stean in their screaming Inspirations Paint Capalaba VW Polo S2000. Driving for championship results Marius/Stean drove fast and consistently, whilst minimizing risk. The solid result puts the team at second outright in the 2018 P3 Solutions Queensland Rally Championship, and bigger smiles on their faces. Steering their car into fourth place was another inspiring drive by Melinda Bergmann and Larisa Biggar in their RallyCars.com.au Mitsubishi Lancer Evolution 9. A small error costing the ladies some time early in stage 2 meant they spent the rest of the rally trying to increase the gap back to fifth, with success. Bergmann and Biggar finished the 2018 P3 Solutions Queensland Rally Championship at third outright, their highest placing yet. The Yeppoon based father and daughter team of Anthony Tanzer and Chloe Tanzer showed excellent speed and consistency coming away with fifth for the event. Driving in their Tanzer’s Autocare Subaru WRX, Chloe Tanzer also achieved the highest place Junior Co-Driver award. The Junior Driver award was won by Brayden Wilson in his AllJap Auto Parts Mitsubishi Mirage, with his brother Blake as co-driver. The promising young team managing to finish, despite losing brakes and understandably some confidence during the event. With ‘getting to the end’ as the target, the brothers finish the year both as winners of the 2018 P3 Solutions 2WD Championship, Junior Driver and Junior Co-Driver. The battle for Clubman was epic even before the event started. Clubman winners were brothers Gerard Byrne and David Byrne steering their Century Batteries Subaru WRX firmly into the lead by almost 5 minutes. 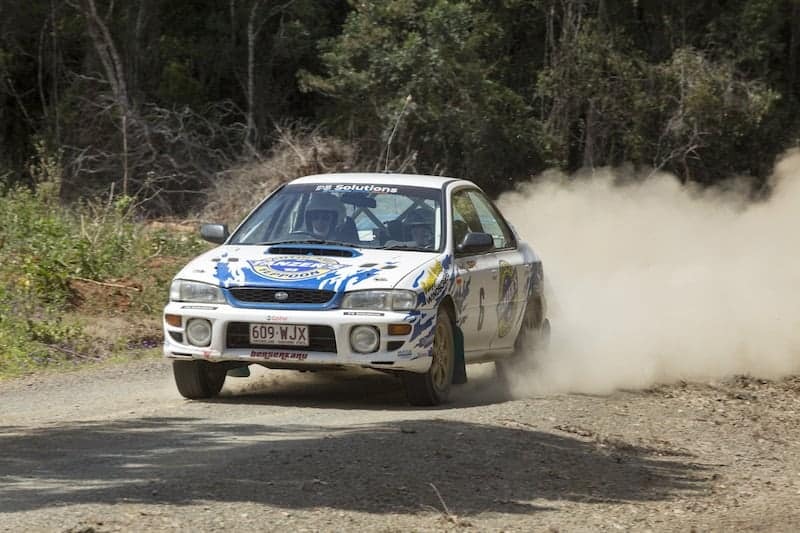 Second was Jessie Heitmann and Grant Burisch (Top Dog Diff & Gearbox Centre) in a borrowed Hyundai Excel. After going through two rotary engines for their Mazda RX7 the week of the rally, Rhys Simmons loaned the Hyundai the day prior to the rally. This meant that Heitmann/ Burisch secured the 2018 P3 Solutions Clubman Series for 2018. In addition they were awarded the “Oh Deer” award by organisers with an antler found in the forest as a keepsake. Connor Oldham and Jenna Bulmer (Phoenix Homes Qld Mazda Familia GTX) were set to have a great battle with Heitmann/Burisch, however unfortunately disaster struck the team with engine failure about halfway through the rally. The event organisers thanked the communities of Nanango and Manumbar for their ongoing support of the event. Impressively, the volunteers outnumbered competitors at a ratio of 4:1, which featured heavily in the winners’ speeches. Event sponsor, Stewart Reid of SR Automotive, whom has supported the event year after year, also provided great prizes for the volunteers. There was much appreciation for support for the volunteers, with one mystery competitor donating 20 BP fuel vouchers via random draw as a show of appreciation. The 2018 P3 Solutions Queensland Rally Championship is now complete and many competitors are looking forward to an even greater 2019 season.